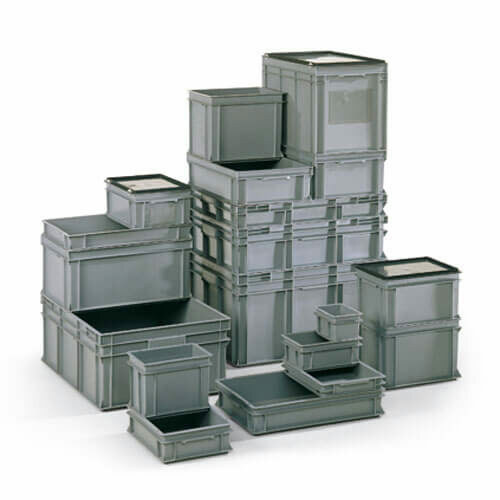 Stackable eurocontainers in a range of sizes for use in the industrial, food and electronics industry. These euro crates are ideal for storage and transport. Recycled eurocontainers also available.